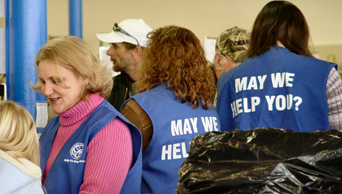 Our stores are a vital way in which we support our neighbors in need. 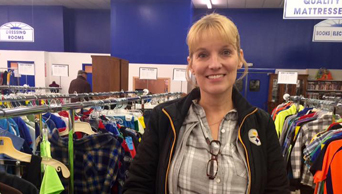 Our store employees are the face of the Society of St. Vincent de Paul in the communities that we serve. We’re always looking for new store associates. If you’re interested in joining us to do the best work you’ll ever do, stop by any St. Vincent de Paul location on Tuesdays for open interviews. Our donors are our lifeblood. Without them our stores would have nothing to offer our neighbors in need or customers. Typical donors are just like you -- compassionate neighbors, conscientious citizens, and generous supporters – we rely on these folks to stock our shelves and support our mission. Whether you give to the Society of St. Vincent de Paul to protect the environment, to support your neighbor, or to clear out some closet space – know that your donations make a real difference in the lives of your neighbors in need. When you donate, you pay it forward. Our customers are a vital part of how we support our neighbors in need throughout the Pittsburgh area and we’re forever grateful for their support.